Another day another advent box to open and today it's DAY 10! Today you will find the delicious 'Ayurvedic'. When I first read the ingredient list for this tea, I was put off by the liquorice... I avoided Ayurvedic for a while, until I decided I'd give it a go.... Now I drink it everyday! I'm not the only one who loves this tea as, it won 3 Stars in the 2016 Great Taste Awards. 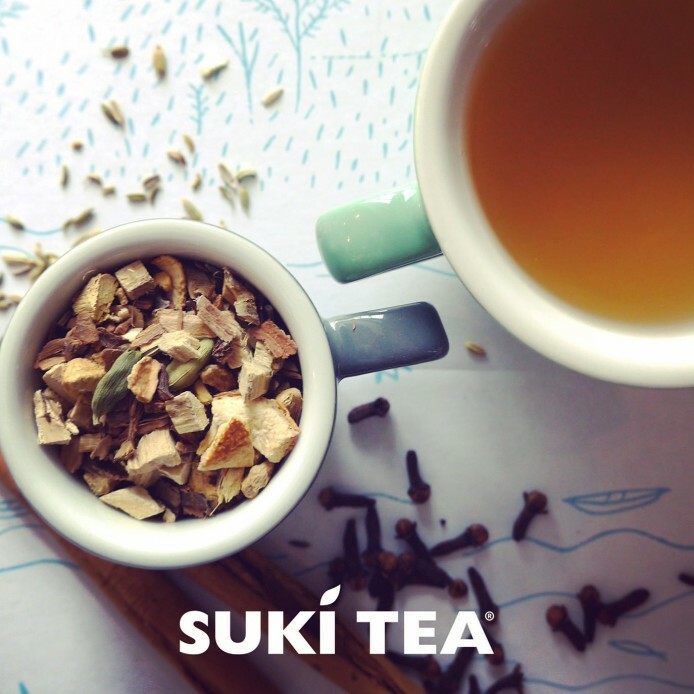 Our Ayurvedic is made up of; cinnamon, liquorice root, ginger, fennel, orange peel, cardamom, creating a spicy, sweet invigorating flavour. Ayurvedic tea was developed in India about 5,000 years ago to help people achieve optimal health, energy and balance in life. It is said to balance the mind and body and promote wellbeing. It is believed that this tea can help promote emotional well-being, aid digestion regulate your metabolism and help you to de-stress, which is very important after all that Christmas shopping. It gives your immune system a good boost (a perfect gift for the man who always seems to have 'man flu'). Energy levels running low with the business of the season? Science has also proved that Ayurvedic tea can also your increase energy levels. It is naturally caffeine free, making it the most effective, wholesome way to boost energy. Caffeine free, big flavour and stress free tea... You're onto a winner! It's unusual to find something so delicious which is also healthy for you! Why not give it a go? Today is the perfect day to try it out, it's HALF PRICE for today only! I'm so glad I braved my liquorice fear.